INGREDIENTS : 100% Hydrolyzed whey Protein, Marica, Maltodextrin, Cocoa Powder, Artificial Flavours & Sweetner, Vitamins, Minerals, Digestive Enzymes, Papain ,Amylase & Preservatives. SUGGESTED USE : Take 1 Scoop (3 Table Spoons) of ANABOLIC NUTRITION’S HY-WHEY in a glass, Add little cold milk or water and mix until it forms a smooth paste. Then add more milk or waterto make it a 200m1 delicious shake. 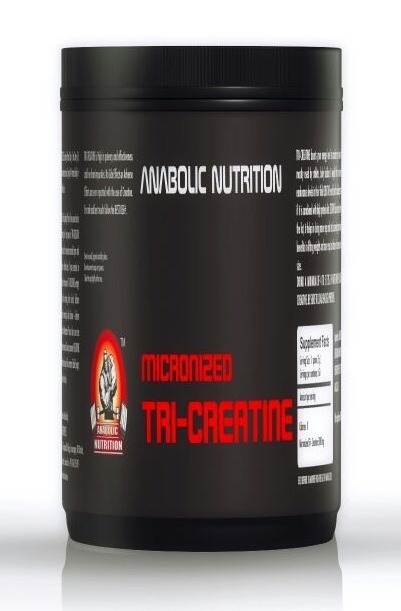 BEST USE* : If you exercise in the morning, take 1 Scoop of ANABOLIC NUTRITION’S HY-WHEY before exercise, after exercise and after dinner – before sleep. If you exercise in evening, take 1 Scoop of ANABOLIC NUTRITION’S HY-WHEY after morning breakfast, before exercise in the evening & after dinner – before sleep. INGREDIENTS – 100% Best Hydrolyzed whey protein, Marica Maltodextin, Cocoa Powder, Artificial flavours & Sweetner, Vitamins, Minerals, Digestive Enzymes. Papin, Amylase Preservatives Reason To Buy-First understand the different types of whey protein, Whey concentrate is one of the most basic forms of protein that is found in many protein supplements on the shelves of supplement stores. People who are looking for an inexpensive protein source will find products of strictly optimum nutrition whey protein concentrate with a lower price tag. Some people will find though that they have a hard time digesting the concentrates and will end up feeling a little gassy and bloated. Whey Isolates Isolates are one of the quickest absorbing proteins (but not the as quick as whey hydrolysate). People will find this source of protein to be a bit on the expensive side (more-so than whey concentrates), but not near as Expensive as the Whey protein hydrolysate. Isolate proteins are perfect for those with low carb diets. Hydrolysate Protein Hydrolysate protein is the most expensive source of protein you will find on the markets these days and is the highest quality of protein available. They provide highly absorbable peptides that can have a great anabolic effect (highest absorption rate of the proteins available). Hydrolysate protein is also much better on the digestive system compared to whey concentrates. This protein can be used both pre and post workout. Special Info : Hydrolysate protein is also much better on the digestive system compared to whey concentrates. This protein can be used both pre and post workout. 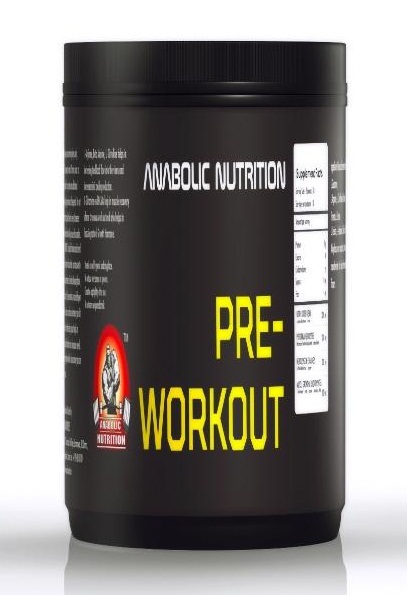 Hydrolysate protein are great pre and post workout as they are absorbed quickly and can supply the muscle the nutrients needed to help recover and grow. ANABOLIC NUTRITION HY-WHEY is a 100% Hydrolyzed form of whey protein. Unlike Whey Concentrates or isolates. Hydrolyzed whey is the best form of whey protein for building Lean Muscle. Due to Hydrolysis Extraction of protein, the product tastes bitter. One of the other reason why this is preferred by most body builders is due to the low carbohydrates & 0 Fats. The Hydrolyzed optimum nutrition whey protein is considered as pre digested protein because it is absorbed & transported to the muscle with in 15 min of Consumption. Isolate takes 30 min & Concentrate take 45 Min to give the same affect where as hydrolyzed whey protein needs to start its effect. It’s a high protein powder, in just 10 days time, we have seen improvement in muscles. I strongly recommend hydrolyzed whey protein. Best Whey Protein, Faster Results, Long Lasting Energy during the complete day. I Strongly Recommend. superb quality premium protein with best price, digested easily, very good flavors, fresh feel while drinking. I have seen My muscles improvement in 2 weeks time, I really appreciate Anabolic Formula and team. I recommend this product. Extremely high quality protein. The price is absolutely justified. Know that most other protein powders out there are not made equal. High protein content per serving, No Sugar and Carbs, Fantastic Formula and Faster Results, Try once and you feel the difference. It’s a excellent product!!! It has been helping me to muscles and get stronger. I compared it to many brands and found this one to be the best. The taste is fine, Apple and Orange Flours. Thanks to Anabolic for such a wonderful protein. Hi, I Just finished a 3 Kgs Anabolic Hydro Whey Protein. Results are awesome. Have gained 2 kgs of lean muscle in just 8 weeks. Feels awesome. Before this, I have tried many other brands but never got satisfactory results. Anabolic Hydro Whey is very superior and effective I would say. The taste, Orange Flavor is excellent. No other protein will be close to Hydro Whey Standard. I would recommend it to everyone. Anabolic Hydro Whey Protein is the best protein currently available in the market. It is the pure protein your body needs. I will give 4.5/5. Just go ahead and buy it doesn’t think much, you will love it! I was looking for an effective whey proteins in the market and my friend who is been in this body building process from past 6 years recommended me to take an Anabolic Hydro whey protein. As per his suggestion I have started taking this whey protein, honestly I am taking this whey protein from last 6 months, though I was on muscleblaze and optimium nutrition powders before but the results obtained from this hydro whey protein is by far the best. It truly helps in building lean muscles and also helps in reducing fat. Best to take post workout. Must Buy!!! I have tried almost each and every popular brand of whey protein available and out of those some have given me problems like hair falling and others. My gym trainer suggested me Anabolic Hydro Whey, but I take light…I have seen my gym mates muscles after taking that Anabolic, I realized , ordered. I have been using Anabolic Hydro Whey since 3-4 years. Believe me it’s one of the best whey protein for my body and muscle repair after the workout. Overall it is a very good product and safe so use it. 100% Hydrolyzed whey Protein, Marica, Maltodextrin, Cocoa Powder, Artificial Flavours & Sweetner, Vitamins, Minerals, Digestive Enzymes, Papain ,Amylase & Preservatives. It is commonly used for the production of soft drinks and candy. It can also be found as an ingredient in a variety of other processed foods. Papain belongs to a family of related proteins with a wide variety of activities, including endopeptidases, aminopeptidases, dipeptidyl peptidases and enzymes with both exo- and endo-peptidase activity. Members of the papain family are widespread, found in baculoviruses, eubacteria, yeast, and practically all protozoa, plants and mammals. The proteins are typically lysosomal or secreted, and proteolytic cleavage of the propeptide is required for enzyme activation, although bleomycin hydrolase is cytosolic in fungi and mammals. Amylase are enzymes that catalyse the hydrolysis of starch into sugars. Amylase is present in the saliva of humans and some other mammals, where it begins the chemical process of digestion. Foods that contain large amounts of starch but little sugar, such as rice and potatoes, may acquire a slightly sweet taste as they are chewed because amylase degrades some of their starch into sugar.